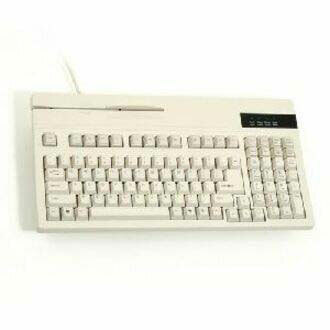 Unitech's K2714 POS Keyboard is your data entry solution for Point of Sale, kiosks, banking and financial applications. The Unitech K2714 POS keyboard is the data entry solution for Point of Sale, kiosks, banking, and financial applications. The K2714 features 21 relegendable keys that support adding color, icons, and text, and a rugged, space-saving design ideal for a wide range of environments. 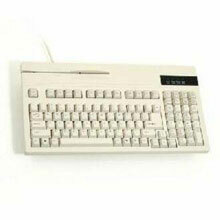 It incorporates a built-in, dual-track Magnetic Stripe Reader, 104 keys including Windows Start and Properties keys. Its spill resistant construction guarantees an extended life cycle. The Unitech K2714-B is also known as UNI-K2714-B	or K2714B	.